What better way to serve apples? 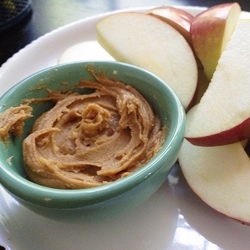 This healthy maple cinnamon peanut butter is delicious! Mix together the ingredients and serve with apple slices or celery sticks.